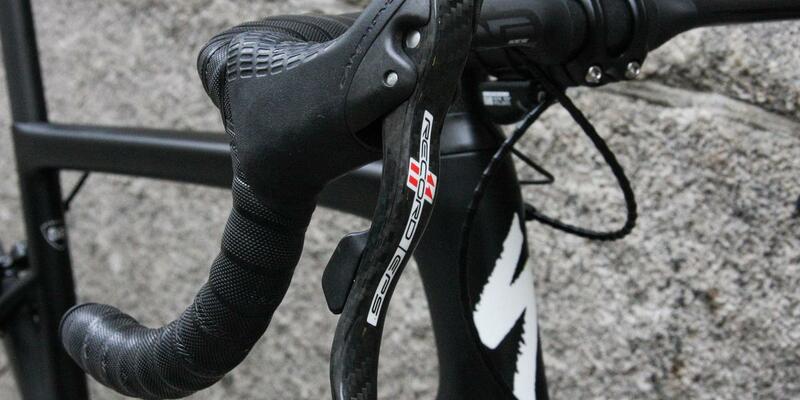 This Venge is designed to work hard for its living, and sports a tasty selection of US and Italian componentry. 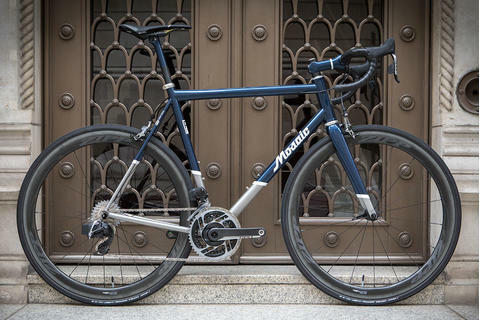 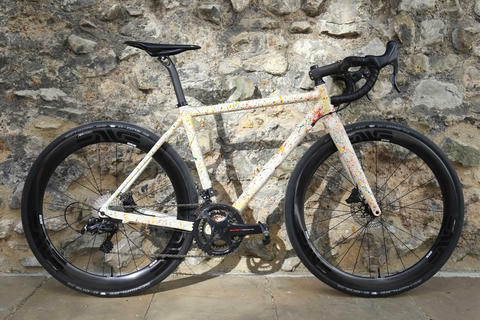 The Record EPS electronic gruppo is a relatively rare sight on a Specialized frameset, but it looks right at home, particularly the elegantly sculpted shifters. 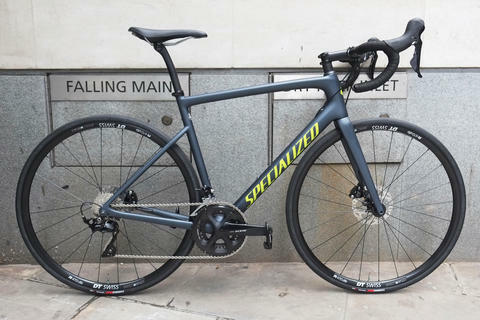 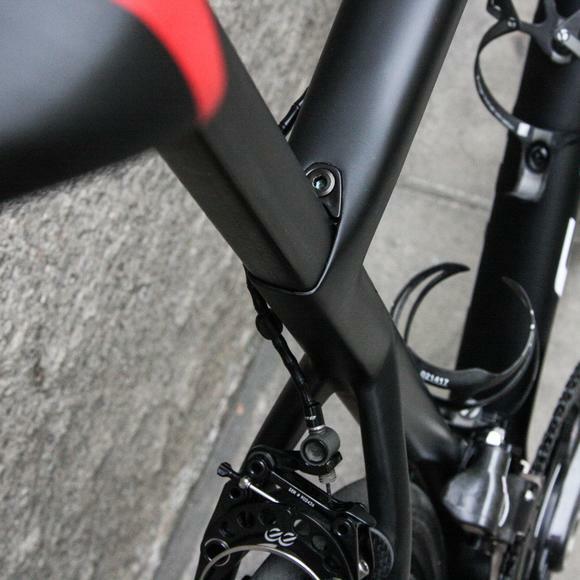 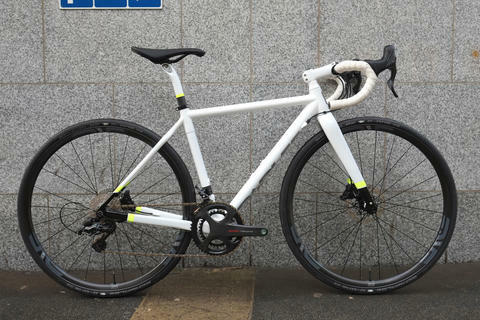 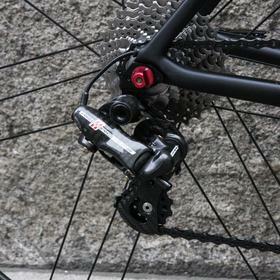 Campagnolo's Bora Ultra 35 are suitably speedy. 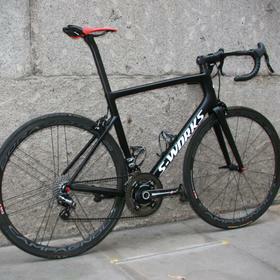 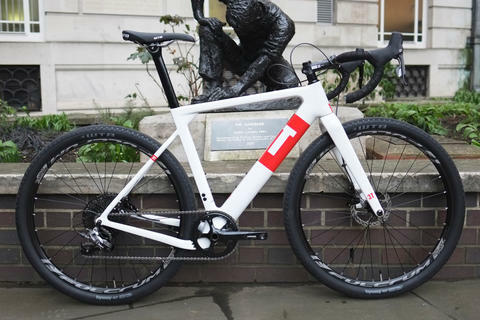 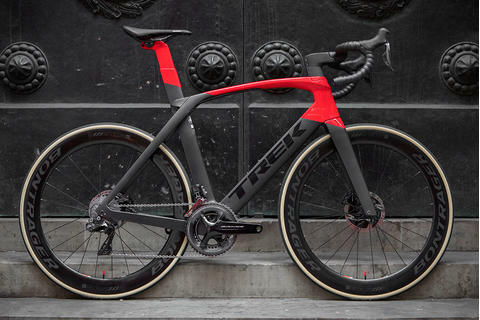 The carbon rims are, as the name implies, 35mm deep - designed to get you uphill fast but with aero benefits too. 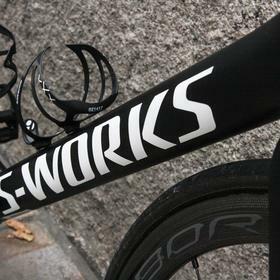 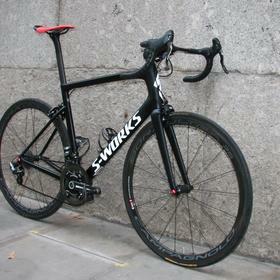 eeCycleworks brakes are always a head turner, and the faired-in front brake in particular stands out. 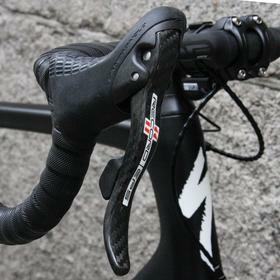 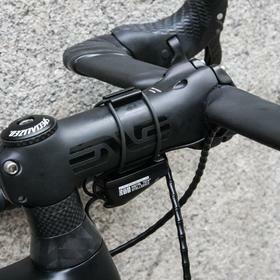 And of course they have the stopping power you need when you get a Venge up to full speed. 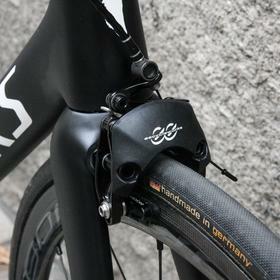 The German-made power2max NG power meter rounds out the international feel. 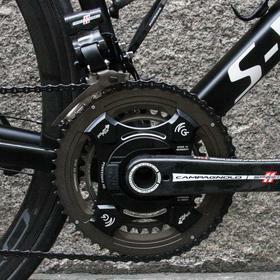 This beautifully engineered spider-based power meter is remarkably compact and allows us to retain those iconic Campag carbon crank arms.